While a healthy level of worry can help us perform efficiently at work, anticipate dangers, and learn from past errors, in its extreme forms worry can become "toxic," poisoning our pleasures, sabotaging our achievements, and preventing us from resolving actual problems. In this user-friendly guide, the author of Driven to Distraction discusses all types of worry, explores their underlying causes, and considers the best strategies for coping. Case histories and anecdotes illuminate such issues as how worry affects our relationships and our work; how it relates to depression, social phobia, generalized anxiety disorder, and obsessive-compulsive disorder; and how it is manifested in children. 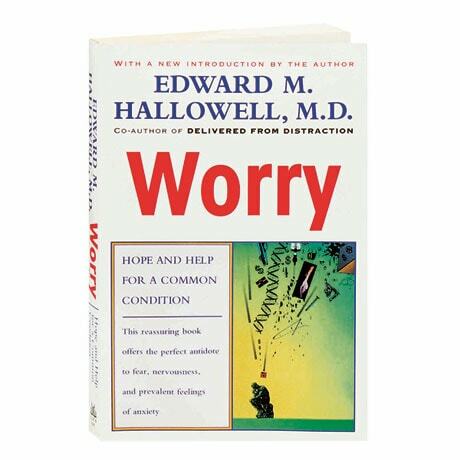 In the section "Remedies That Work," Edward Hallowell shows us how to evaluate, control, and manage the problem, both with and without medication.